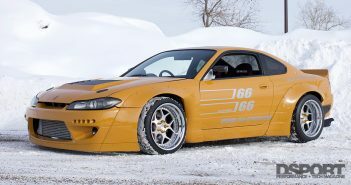 If you are trying to build a mega-horsepower street car that isn’t AWD, you will literally be spinning your wheels a good amount of the time. 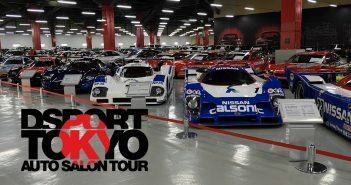 One platform that has used its AWD system to set records for nearly 30 years is the Skyline GT-R. “Godzilla” earned its legendary status as Japan’s top halo vehicle with the launch of the R32 GT-R in 1989. Heavier and no more powerful than many of its competitors at the time, Godzilla dominated in every environment. Street, drag or track, Nissan’s Advanced Total Traction Engineering System for All-Terrain (ATTESA) was a primary reason for the success. It’s been said that it is the ATTESA system that makes a GT-R, a GT-R. As Godzilla matured with the R33 GT-R, R34 GT-R and the V-spec editions, the ATTESA system got better, stronger and faster. Today, the R35 GT-R’s ATTESA system is again the reason why it can outperform most other AWD vehicles with even better power-to-weight ratios. Understanding the science, history and “tweakability” of the ATTESA system will allow you to master control systems on many levels. The term “all-wheel drive” might lead you to believe that all four wheels of a vehicle are being driven (powered) at the same time. While a fully-locked system may have a place for a rock crawler or a vehicle that never turns, there are situations where it is best to have power being delivered to just one, two, three or four of the wheels. Different AWD designs will place different priority on the front or rear set of drive wheels and open or limited-slip differentials may be used. 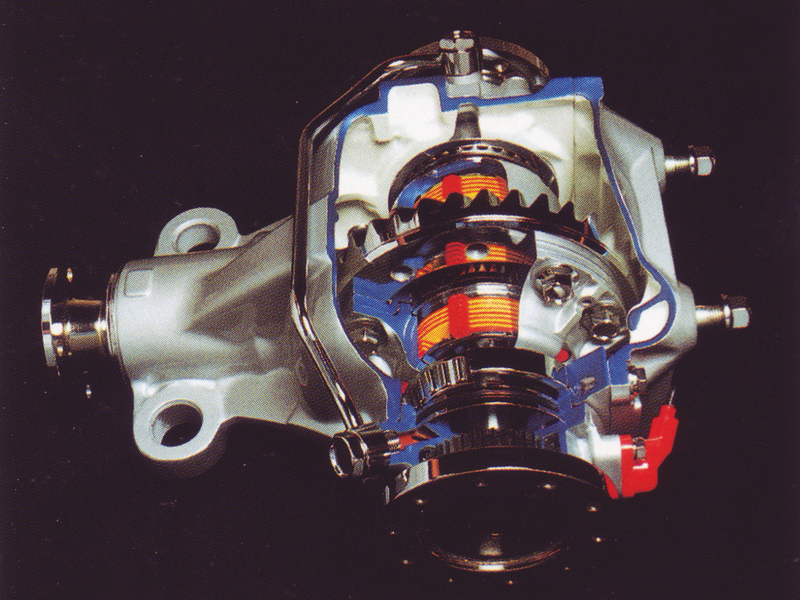 On a conventional FWD or RWD vehicle, a single differential is used at the front (FWD) or rear (RWD) of the vehicle. The differential allows for there to be a difference in speed across the two drive wheels, which is extremely helpful on turns where the outside wheel needs to be rotating faster to cover the additional distance it must travel while the inside wheel can be moving slower. If you have ever watched a 400m race, you’ll notice that the runners are given what appears to be more of a head start the further out they are from the inner most lane. This isn’t a head start. Rather it’s an adjustment being made so that each runner covers just 400m. The differential used on a FWD or RWD vehicle may be an “open” differential or it may be a “limited-slip” or torque-biasing differential. 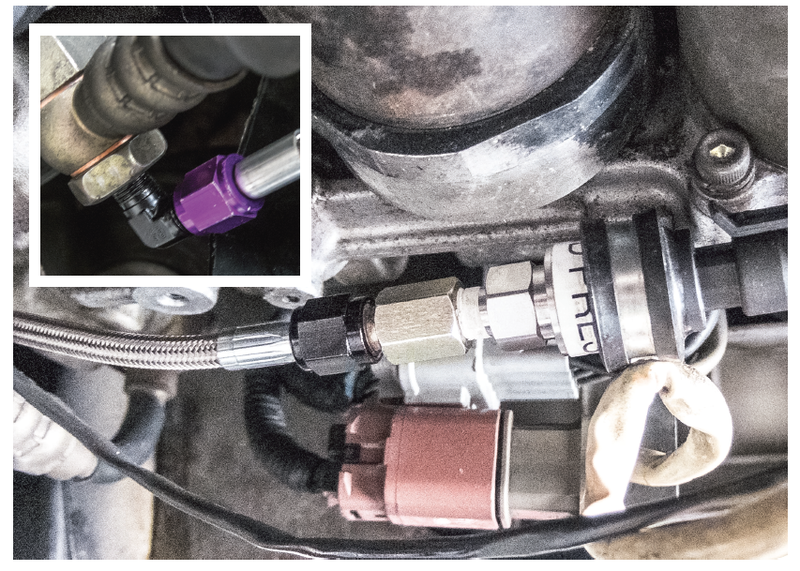 Open differentials have no means of affecting the speed differential between the two wheels. As a result, if one wheel in an open differential spins, all of the power continues to be put to this spinning wheel. In a straight-line test, an open differential will often leave a single burnout mark, earning it the nickname of “peg-leg.” When a slip limiting technology is incorporated in a differential, power can be successfully applied to both wheels under certain conditions. The types of technologies that can be used for slip-limiting or torque-biasing can make up an article on their own. For our discussion, it’s just important to understand that it’s possible to have an infinite speed difference across a differential (open) or it can be a 1-to-1 speed ratio across a differential (locked). 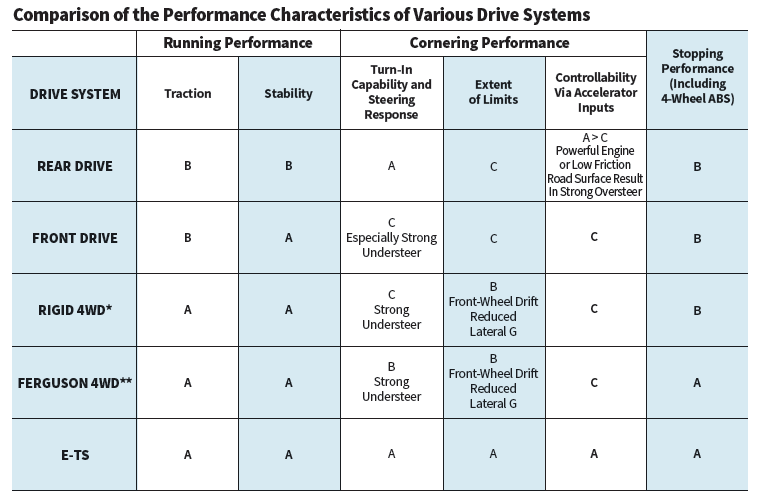 All-wheel drive vehicles typically have a trio of differentials. Since both the front and rear wheels may receive power, it’s necessary to have a differential at both the front and rear axles. Since it is advantageous to be able to vary the torque split or biasing between the front and rear differentials, a center differential is also employed. While some AWD systems employ a mechanical center differential, Nissan’s ATTESA E-TS system features an electronic solution. 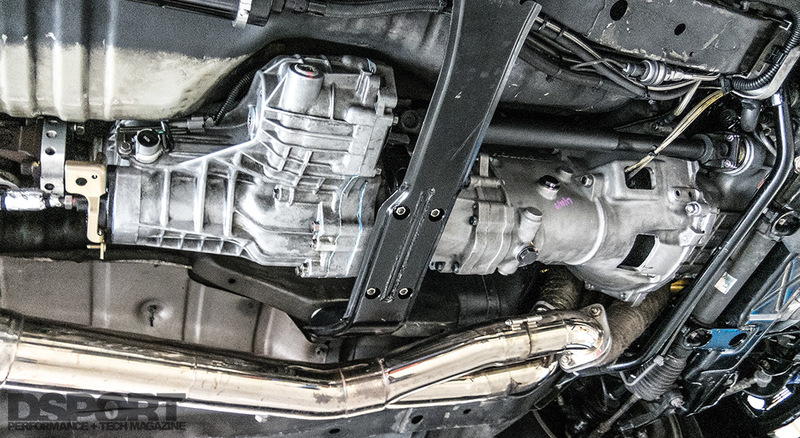 A priority RWD all-wheel drive system, the ATTESA E-TS system used on the R32, R33 and R34 GT-Rs is able to deliver up to 50 percent of the engine’s torque output to the front wheels as deemed necessary. A dedicated ATTESA E-TS PRO ECU handles the torque split, active LSD and ABS functions on the V-Spec GT-Rs. The primary function of the ATTESA E-TS controller is to electronically regulate the amount of torque split across the center differential. On the R32, R33 and R34; the amount of torque sent to the front wheels could be as little as two percent or as much as 50 percent. When Nissan introduced its V-spec edition R33 GT-R, the ATTESA went from being an E-TS to an E-TS PRO designation. 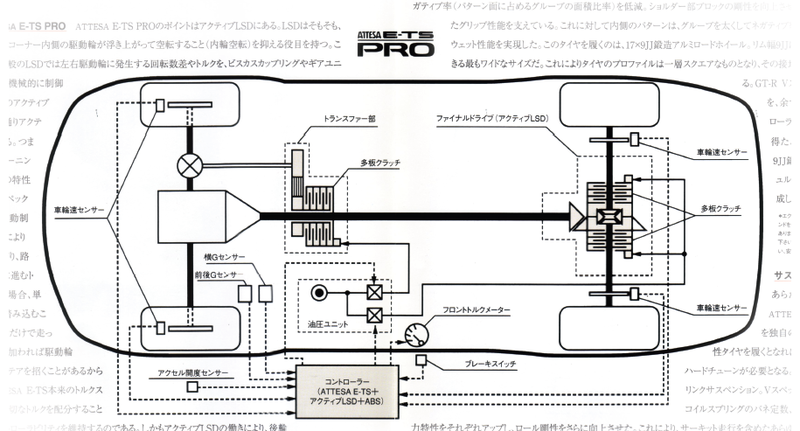 The E-TS PRO added the ability to electronically control the LSD in the rear differential. Larger longitudinal G (tractive force) is generated for starting off and accelerating; dependable tractive force is provided to prevent the vehicle from becoming stuck in mud, snow or sand. There should not be any unsteadiness (yaw) when starting off or accelerating. The nose should immediately point in the direction the driver turns the steering wheel and the vehicle should corner with little understeer. The vehicle should corner with a higher level of lateral G and also generate higher longitudinal G.
In this system, the front and rear axles are coupled directly, and drive torque is not split by means of a transfer unit. The tractive force generated at the front and rear wheels is determined by the weight distribution of the vehicle, i.e., it is equal to the gripping force. A transfer unit is employed to split the drive torque between the front and rear axles. The basic front/rear torque split is determined by the ratio of the pitch circle radius of the differential gears. The split can be varied to some extent by the action of a viscous coupling employed with the center differential. When the torque capacity of the center differential is exceeded, there isn’t enough torque diverted to the front wheels to prevent the rear wheels from overpowering the available grip. 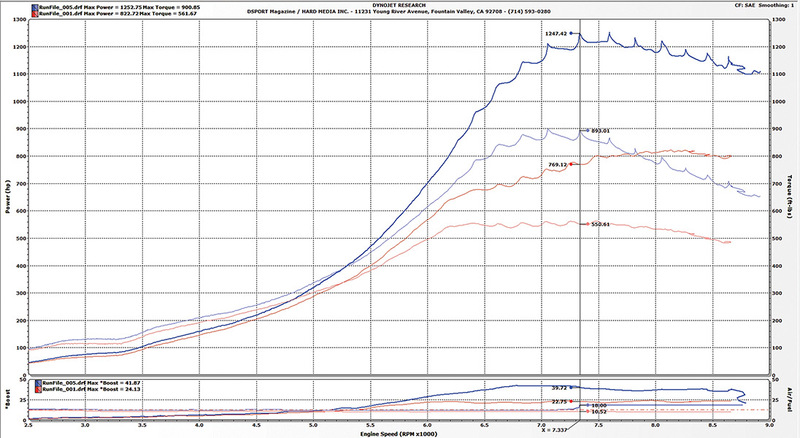 This can even happen on a linked dyno as our R33 GT-R’s 900 lb-ft of torque output and 1,250whp develops a dyno graph with loops from the loss of traction. 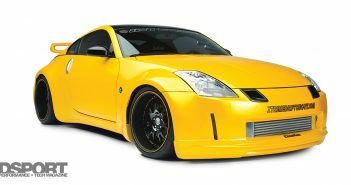 Front-engine, rear-wheel drive (FR) sports cars deliver a very desirable turn-in for cornering and the ability to induce oversteer with throttle input. This delivers a fun-to-drive element, too. When the ATTESA E-TS system puts the majority of the torque to the rear wheels, the behavior of the AWD vehicle is identical to an FR vehicle. Steering is responsive without understeer. Of course, the drawback to this configuration is the possibility of inducing too much oversteer with excessive throttle input. The result may be a forced counter-steer to regain control or a spinout if the counter-steer isn’t sufficient. Sharing the torque that is delivered equally between the front and rear drive wheels has real advantages under straight-line acceleration. In this circumstance, the available grip from all four tires can be used to deliver the power to the pavement. However, at a certain point where the grip available from rear drive tires is enough, sending power to all four wheels results in additional driveline losses. During straight-line acceleration, the ideal torque split would be delivering only the necessary amount of torque to the front wheels to maintain traction (or the desired percentage of wheel slip). In addition, having a fixed 50/50 torque bias when cornering is also undesirable. The 50/50 torque bias will induce understeer similar to a FWD vehicle as the delivered drive torque reduces cornering capabilities at the front wheels.